UKGC not only controls mobile casino UK but also the real casinos operating across the UK. The gambling industry statistics deal with the data on the British Gambling Market and comes out in May and November every year reflecting the observations made during the time span stretching from previous year’s April to the running year’s March. The most recent gambling industry statistics hold true for the time from April 2016 to March 2017. The fresh data seems to be very encouraging with respect to the online gambling market in Britain. The executive director of the UKGC, Tim Miller believes that the coming years will see a mammoth growth in the gambling industry across the UK, especially in the online sphere. The data is promising an increasing inclination of people to place their bets online which can be a boost of morale for the myriad online casinos based in Britain. The report is suggestive of continuing, inexorable growth in the gambling sector both in terms of customer base and money put at stake. With great power comes great responsibility. Same holds true for the boost in the gambling industry and the adjoining responsibilities for the UKGC that come with it. Tim seems aware of the opportunities as well as the threats that stand in front of the online casinos in the country. With the increase in people involvement, it becomes vital for the licensed operators to maintain the well-being of their customers against the ill effects that gambling may come accompanied with. According to the executive director, the main objective of the UKGC has always been customer protection and safety and that is why all licenses are bailed out only after the casino operators prove themselves to be credible and promise to abide by the regulations upheld by the UK Gambling Commission. While the future of online gambling seems bright, it becomes more of a challenge to provide the gamblers with a fair, safe, and credible betting atmosphere. An increase of 1.8% has been observed in Gross Gambling Yield of the British Gambling Sector during the time from April 2016 to March 2017, grossing a big £13.7 Billion. The remote gambling sector’s GGY, on the other hand, verged to £4.7 Billion, witnessing an increase of 10.1%. 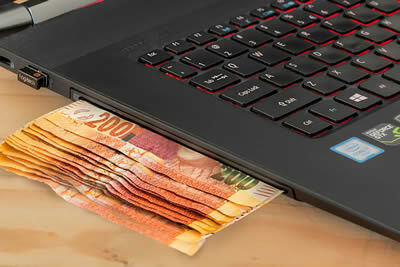 The online gambling sector underwent an increase of 1.5% from the previous year to claim a 34% share of the overall sector. A 1.8% increase in slot machines has also been observed including those from Vegas Mobile Casino. The number of workforces employed in the sector, however, saw a decline of 1%. A decrease in the number of betting shops and Bingo premises has also been witnessed in the last year. Same holds true for the number of licensed arcades which saw a 5.1% drop. Apart from these slight deterrents, the online casino sector seems blooming well.